Imagine making a luxurious, diaphanous cloth from a pineapple. 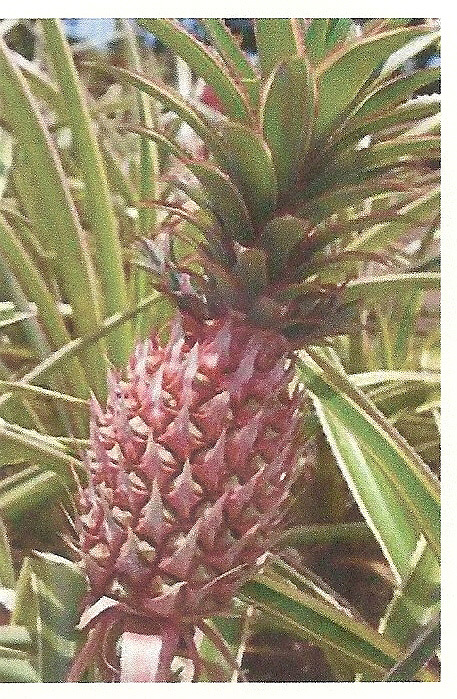 The fiber is a leaf fiber from the red pineapple. The long fibers cannot be spun but are hand knotted to form the warp and weft yarns. The plain weave yardage is produced on upright looms in small workshops. Pineapple is an herbaceous perennial, 2 ½ to 5 feet in height with a spread of 3-4 feet. The plant is native to Brazil and Paraguay. The South American Indians spread the plant throughout the rest of South and Central America where Columbus discovered the fruit on the island of Guadeloupe in 1493 and brought it back to Spain. 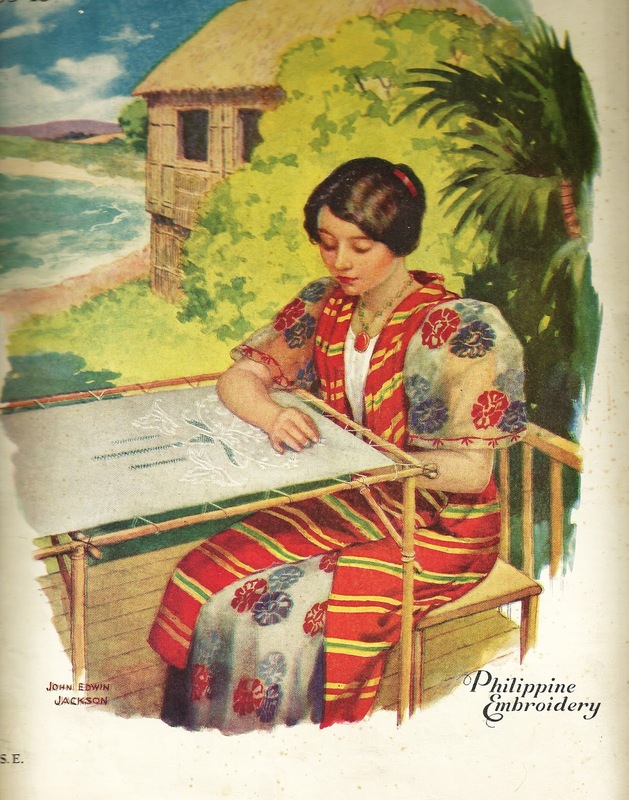 In the 16th C Spain introduced the plant into the Philippine Islands..
Sheer pina cloth was a perfect ground for intricate embroidery techniques taught by Spanish nuns. During the late 18thC and early 19thC there was a high demand for intricate lace-like textiles, however by the 1850’s the labor intensive production was too costly. There was competition from factory- produced goods and the cottage industry faltered. In the 1990’s there was a renewed interested in this textile by fashion designers working with the government. Some innovations in manufacture included using native and synthetic dyes to produce a variety of colors. Combining the pina fibers with other plant fibers created cloth more sturdy and easier to weave. Combined with abaca, another fiber long used in the region, the cloth is called “justi”. 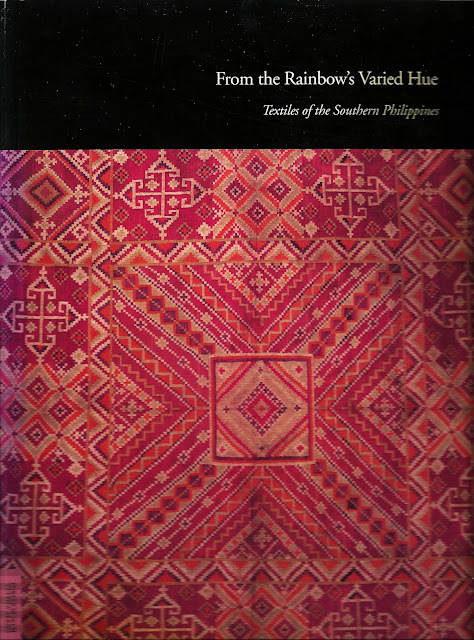 Combining pina with silk warp threads produces a cloth called pina-seda. UCLA Fowler Museum of Cultural History, L.A.